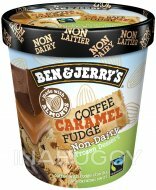 The Cookie Dough you know and love started with a simple suggestion: What if you put chunks of chocolate chip cookie dough into vanilla ice cream? 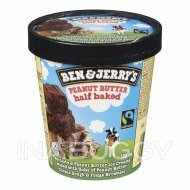 That was the amazing anonymous idea submitted way back in the early days of our first Burlington, Vermont, USA, Scoop Shop. We used to have a bulletin board where people could suggest new flavours for Jerry and Ben to make—and this idea stood out. The folks at the Scoop Shop immediately went to work mixing up a batch of Cookie Dough. It was an instant hit. 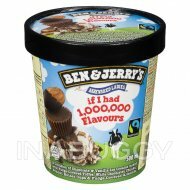 Initially, the flavour was only available at the Scoop Shop. When we decided to sell it in tubs, we had to figure out how to get that familiar cookie-dough taste, consistency and texture at ice cream temperatures. 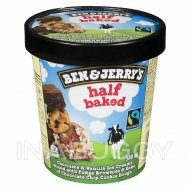 We teamed up with Rhino Foods and, over an incredible six-year journey, we perfected the cookie dough found in our tubs today. In 1991, Cookie Dough began appearing in freezer aisles everywhere. 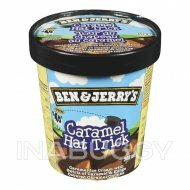 It has remained one of our most popular and beloved flavours ever since! 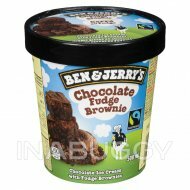 We get our cocoa, sugar and vanilla from Fairtrade certified producers, while Canadian Dairy farmers provide all the milk and cream in this tub. 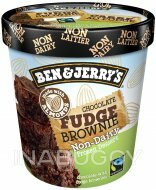 Ben & Jerry’s ice cream is made with 1% Canadian milk and free run eggs. We also use responsibly sourced packaging.